Growers and breeders of plants are constantly on the lookout for new or improved varieties that will take the gardening world by storm. Each year, they release their best prospects at trade shows around Europe and beyond in the hope of winning an award and to gauge the reaction from visitors. 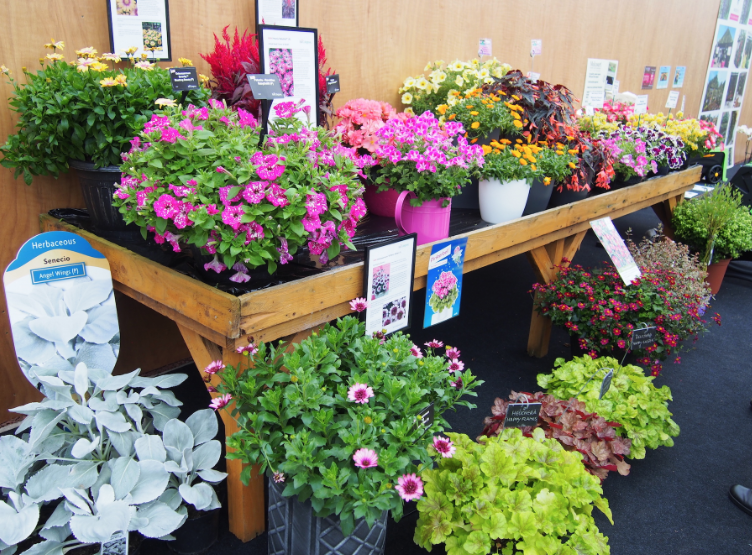 The Four Oaks trade show is held each September in Cheshire and attracts growers from all over Europe. This year, as well as companies from the UK there were several relatively “local” Dutch and German companies, but also some from as far afield as Italy and Israel. 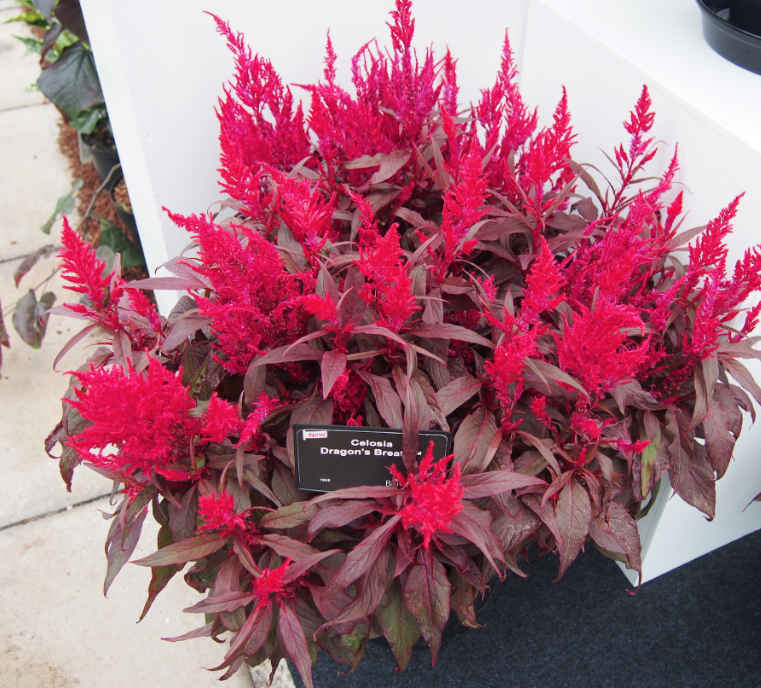 Celosia ‘Dragon’s Breath’ (above), a new variant on an old favourite with vivid red flowers against red foliage. The better the light level, the redder the leaves. Surfinia ‘Coral Morn’, a tremendous flowerer with white-centred, rich pink flowers so thickly spread over the plant that you can’t see the foliage. Ideal for a container on the patio or by the front door. The woody plants, like shrubs, included the stunning new Lagerstroemia Black Solitaire ‘Best Red’, being shown as a small tree (although it also grows as a bush) suitable for warmer areas and sheltered gardens with almost-black leaves and dark red flowers. This is a familiar tree from Mediterranean areas, where it is often used to line the roadsides, giving a fantastic display of flowers in more familiar white or shades of red, peach, pink or purple. Hebe ‘Tip Top’ is a pretty new variety with green-hearted leaves edged with silver and new shoots that emerge tinted pinkish-purple. Ideal for containers, it is hardy and tolerant. One of the more unusual new additions is Doodia aspera ‘Rough Ruby’, a compact and hardy fern that forms a thick clump to give attractive, delicate-looking foliage throughout the year. The leaves are textured to the touch and emerge tinted with bright maroon. Ideal for giving interest among other plants.